The fortress wall surrounding the city of Seoul displays Seoul’s past and present along with its urbanization and nature. It adds grandeur to the city and provides people with a chance to rest in nature. 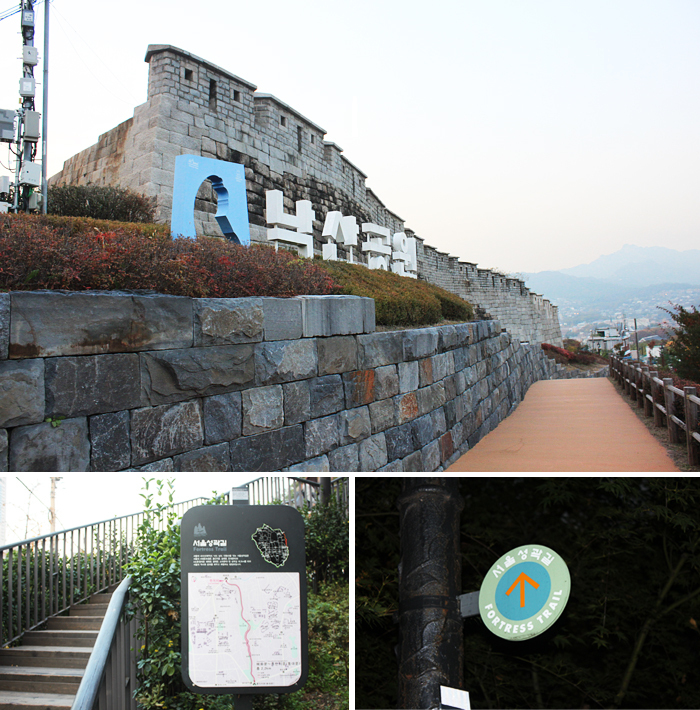 The Seoul Fortress Wall Footpath consists of four walking courses that include Course 1, the Baegaksan/Bugaksan course, Course 2, the Naksan course, Course 3, the Namsan course, and Course 4, the Inwangsan course. In an effort to vitalize the walkway, Jongno-gu District of Seoul provides a tour guide service. Tourist groups that consist of four or more people who make reservations three days in advance can walk along the pathway with trained tour guides. This program will help tourists who want to enjoy the relaxing side of Seoul and make a special memory while doing so. There is also a stamp map on which visitors to the courses can collect stamps at the end of each course and redeem them for special commemorative prizes.